Most of the time I’ll do my absolute best to avoid a traffic jam, but the 2019 Audi A8 makes them oddly appealing. Forget “Artificial Intelligence”: the AI we’re talking about today is Audi Intelligence. What exactly does this mean, and why should we care? We as a collective of road-users are going to need to be much more sensitive to the fact that there are cars on the road not being driven by human beings. 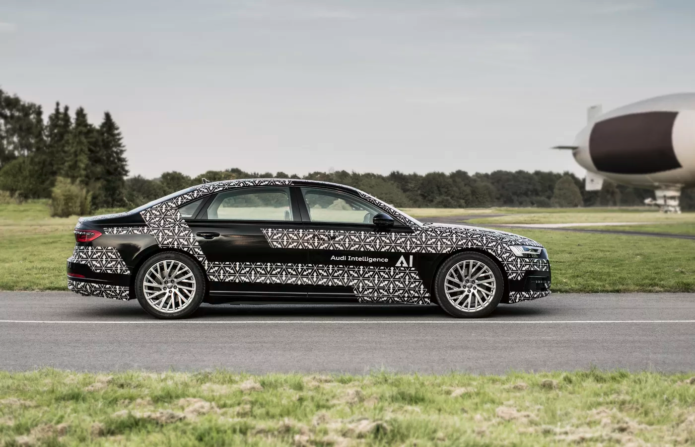 Instead, we’re increasingly going to see advanced driving assistance software taking the wheel, like the new Audi AI traffic jam pilot, the world’s first Level 3 automated driving system in a production vehicle.